Being a horror fan, i sometimes feel obligated to get out and support horror movies in the theater. This means i often sit through awful mainstream dreck without an ounce of artistry to its money sucking soul. 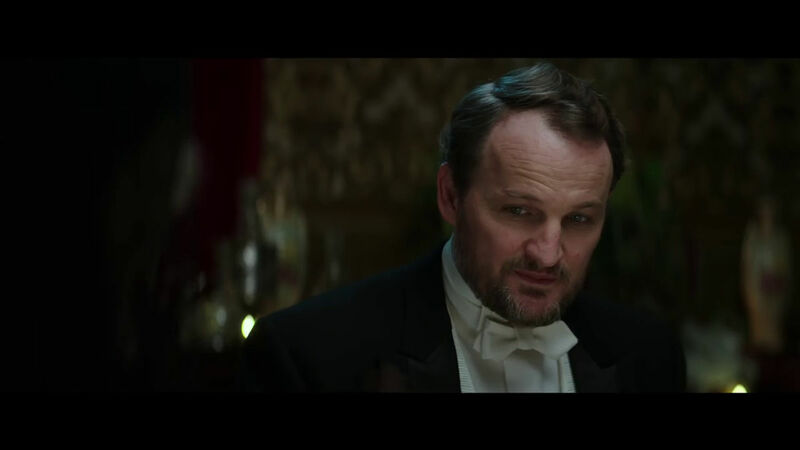 Of course, I do like being surprised by mainstream horror, movies like The Conjuring and Insidious did just that. So, when i first saw the trailer for Winchester, I thought I was in for that rare mainstream treat. The film, based on the trailer, had an interesting look, an interesting premise, plus the added bonus of Helen Mirren. Then I started hearing that it was no good, slow and boring and I almost took a pass on it, but faced with sold out Black Panther screenings, it looked like a good alternative to me, so I gave it a shot. Winchester was directed by Michael and Peter Spierig (credited as The Spierig Brothers). Last year they gave us the return of the Saw franchise with Jigsaw, which was a decent if not wholly satisfying comeback. To me they will always be the guys behind the Aussie horror/sci fi hybrid oddity Undead and its use of the triple shotgun. The brothers aso co-wrote the screenplay with Thomas Vaughn, who also wrote the 2004 Wesley Snipes vehicle, Unstoppable. Unfortunately, the movie they have crafted was anything but unstoppable. I went in hoping the word I had heard was wrong and that Winchester would be a worthy entry in the pantheon of winning mainstream horror outings. My hopes were misguided, as I found the film to be almost insufferable. The sort of film where precious little happens, characters stand around talking or tiptoe around and do nothing but wait for the inevitable jump scare. Based on an actual location, said to be the most haunted mansion in the United States, and having a uniquely chaotic architecture, not to mention its connection to one of the most famous of weapons manufacturers, the possibility for something of quality was there. 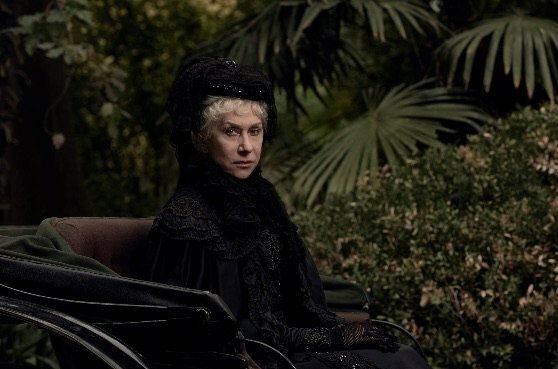 The story centers on Sarah Winchester (Mirren), a widow and majority owner of the Winchester Repeating Arms company. She has secluded herself in her seven-story mansion, a site that is under constant construction and rebuilding with no rhyme or reason. It has rooms that are just mazes leading to another floor, staircases that lead nowhere, and rows of rooms that have been sealed shut. Fearing for her sanity and ability to run the company, the board has brought in Dr. Eric Price (Jason Clarke, Terminator: Genisys, Dawn of the Planet of the Apes), a damaged psychiatrist haunted by his death of his wife, to evaluate the Winchester matriarch. What follows is a lot of talking, hand wringing, and wandering the mansion with the occasional quick cut appearance of a ghost to remind you that this is, indeed, a horror movie. The talk and walk, and walk and talk, until the climax arrives and has them face down a particularly nasty ghost trapped in the house. This climax also coincides with Dr. Price’s epiphany and ability to finally be at peace with the death of his wife. None of it is all that interesting, and I hope that you're not the slightest bit sleepy, otherwise Winchester may be watching you. I was honestly hoping to like this movie. As it stands, there were some elements that I liked about it, not enough to really affect the rating, but rather missed opportunities or just fleeting moments. Even bad movies often have something to like about them. 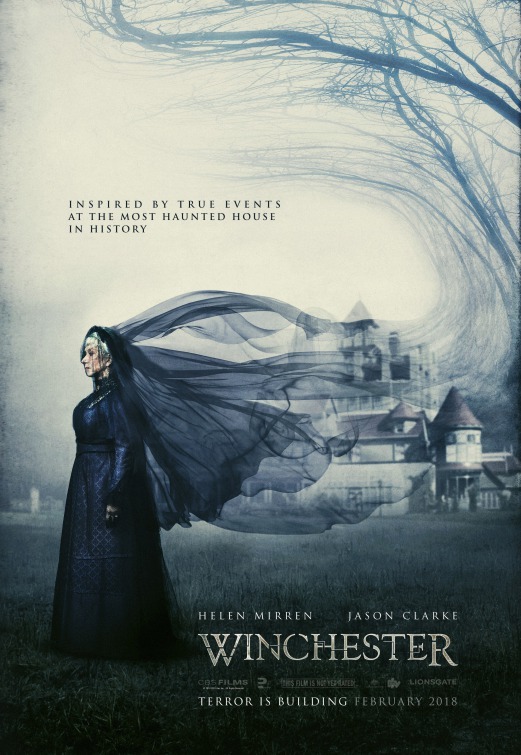 I will admit, I do not know much about the history of the Winchester mansion, or about the hauntings, so what I am commenting on has more to do with just the movie itself. 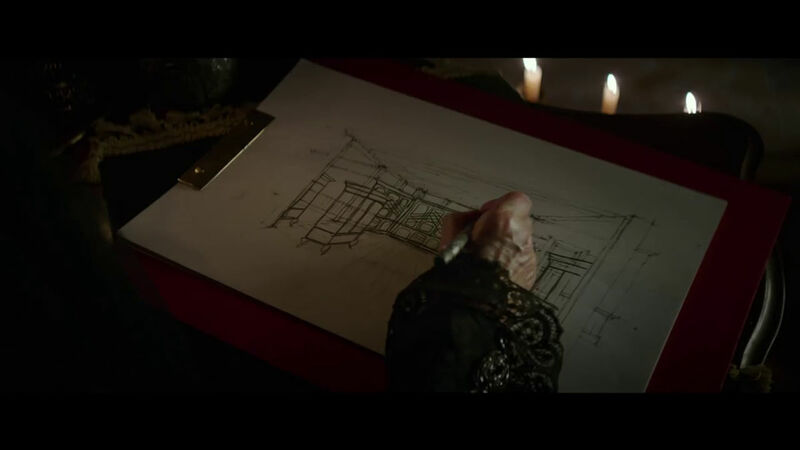 I liked how they tried to make the house its own character. It was not successful, but they tried. They really should have played this a lot more than they did, the nature of the house was used as a draw for the audience but left with unfulfilled potential. I also liked the idea that those killed by the rifle would be drawn to the mansion. Helen Mirren was wonderful, bringing class to the droll film. Winchester was just too dry to hold my attention. All talk and no action, and no, I don’t require my movies to be all action, just hold my interest, it is fine to be slow. I also felt the final ghost was not all that interesting. He played the role of ghost attracted to the house due to how he was killed, but he did not feel personal enough for the rest of the cast. This is an easy one to skip. I sort of wish I did.